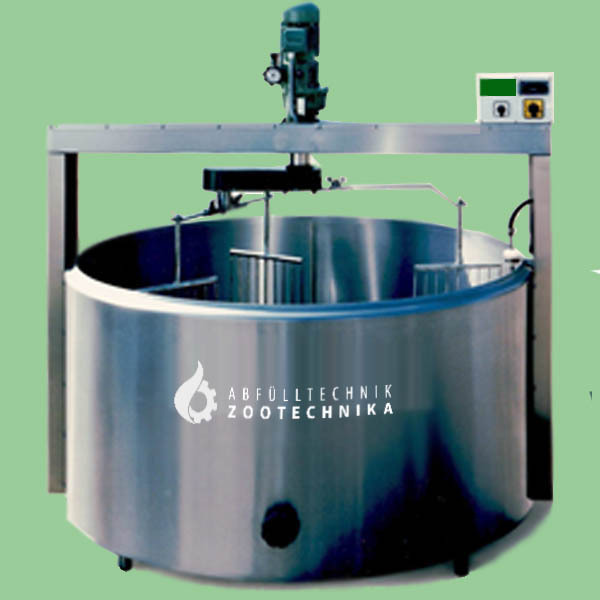 Cheese kettles in bridge construction are offered for processing larger quantities of milk. 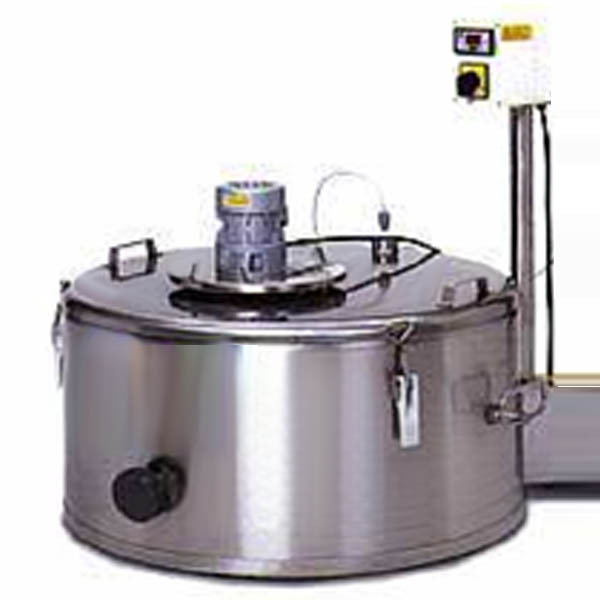 This cheese kettle has an automatic and infinitely variable agitator and cutting unit, rotational direction switch and divided lid. The quick release fastener allows the agitator a quick and easy replacement by the cutting component. This ensures the mixture will be cut up evenly and finely. A tilting device makes cleaning and emptying easy. water inlet KBB 500-KBB 1000: 3/4"
water outlet KBB 500-KBB 1000: 1"
The system may only be operated without pressure!